Home » Articles » General » Hacking and Technology: Why Telugu movies always get it wrong? Have you ever wondered why actors in Telugu movies use non-existent futuristic technology instead of real life gadgets? And why hacking and technology is depicted as black magic with endless possibilities? The influence of James Bond series has spoiled a generation of Indian filmmakers. Nowadays we rarely watch movies that showcase reality. 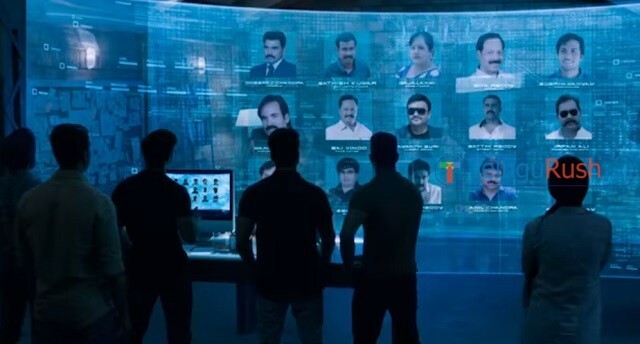 The protagonist in Dhruva, who is an aspiring IPS officer, uses holographic display to show his friends just a bunch of pictures. A small-time hacker in PSV Garudavega hacks satellites to steal information. A bunch of young IT professionals (not necessarily programmers) in Intelligent hack several bank accounts and steal money. The problem is not limited to these handful of movies or Tollywood or even to Indian cinema. Even Hollywood and world cinema has the same issues when it comes to hacking and depiction of advanced technology. It may sound ridiculous, but the number of movies in world cinema that has true depiction of hacking are so low that you can count them on your fingers. Almost all others portray hackers as wizards or demigods who can do whatever they want. Some movies get the lifestyle of the hackers right, some the technology and procedures, some the ambitions, but it’s rare to find a film that gets everything right. This wasn’t a big deal during the times when most audience were not aware of technology and believe in conspiracy theories and futuristic technologies, but the audience have been learning new information through internet everyday. The filmmakers didn’t evolve over time and are still copying the techniques in old movies. Even the multi-national companies don’t use the Holographic screens, but the Telugu movies show it casually. For example, we see a holographic screen in Dhruva just to enhance the feel of the scene or for better visuals. But if we see it from the perspective of storytelling, it is just ridiculous. The professional hackers and gamers don’t use laser projection virtual keyboard as seen in PSV Garudavega. They are just a style statement in Telugu movies to elevate the scenes. The portrayal of using it when the hacker is in a hurry is an impossible step to start with. Nevertheless, it worked well for the scene in the movie. The face recognition technology as shown in PSV Garudavega is non-existent, at least in India. There are rumours that US Army has this technology, but we’ll never hear about it from official sources. The technology shown in the movie appears more like a modified version of windows media player. The hacking is always portrayed wrong in Indian cinema. After several decades of experimenting over hacking themes, we don’t have at least one film that gets it right. Forget about correct portrayal of hacking, none of the Telugu movies get close to it. In recent Telugu film ‘Intelligent’, hero orders his friends to hack into bank accounts of some selected people and transfer all the money. His friends, being normal graduates without any knowledge of hacking, do it with ease as if they are withdrawing money from ATM machine. The Graphical user interface that comes with on screen buttons and panels for hacking is comical and the Telugu audience are yet to see a film that shows hacking through coding. In Indian cinema, it’s common to hack satellites and get the work done. In plain words, it’s like convincing the teachers to give more marks instead of making parents sign the progress report. The hackers generally get into servers to steal information. If it’s that simple to hack satellites, then we wouldn’t be getting uninterrupted telecommunication services. We need movies with hacking and technology as main themes with some research instead of using them as subtracks to show something impossible done easily. The filmmakers who lack basic knowledge of these things should better avoid them. Share your opinion in comment section below. PrevPreviousTitles and end credits in Telugu movies: What we didn’t learn from Hollywood?